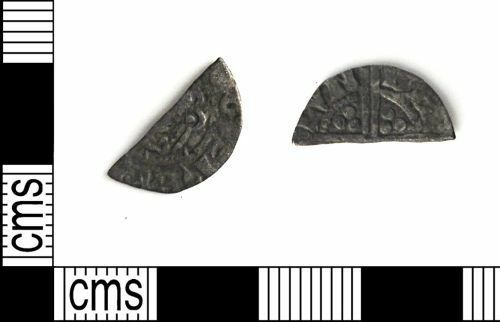 A cut silver halfpenny of Henry III dating to 1248. North Number 985/1. A complete silver penny of Henry III (1216 to 1272) dating to 1248. North Number 985/1. A silver half-penny (cut) of Henry III from 1248, class 2a. North no 985/1.